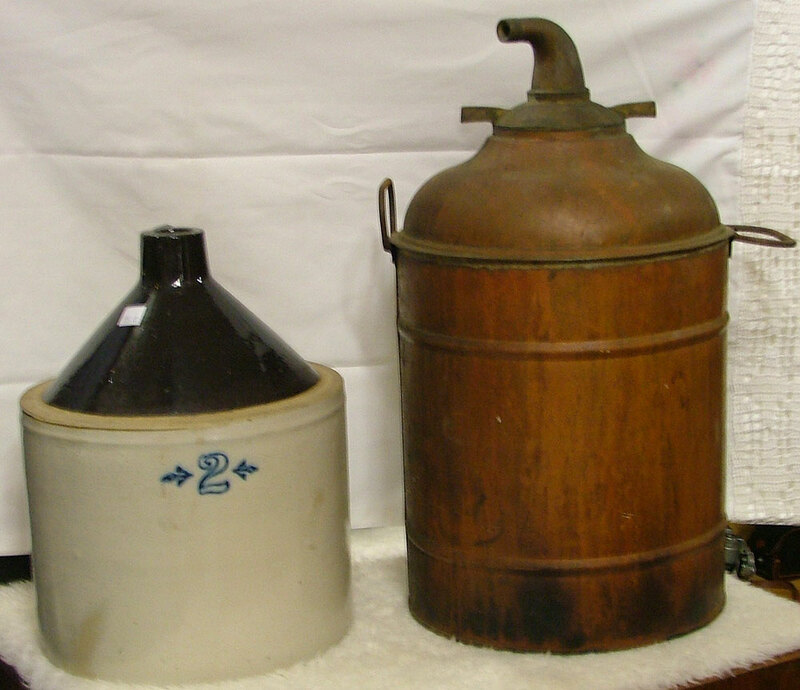 On a Friday it just seems like a perfect time to show this picture of a pottery jug and a copper still. In the picture, it’s a 2 gal. jug. But we have many sizes available. So stop by and see if we can find the size you’re looking for! Interestingly, there are plenty of questions regarding owning an old copper still. Of course, how you use it is the main issue. If you use it to distill water or for decoration, well, you can have one. If you’re going to actually distill alcohol, well, that’s another matter. You’ll have federal, state and local permitting to consider. CLICK HERE for an article from 2015 that will at least make you think long and hard before creating your own ‘moonshine’!